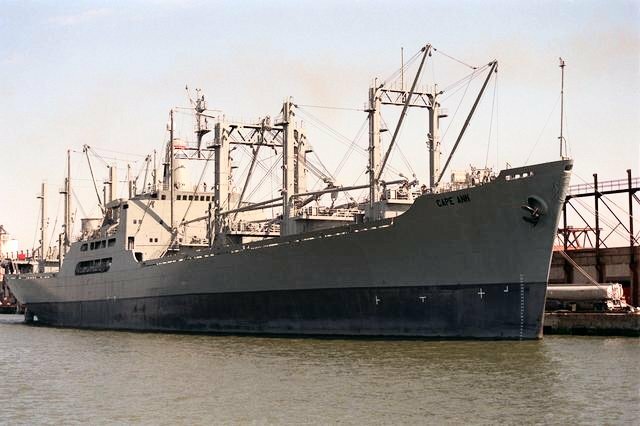 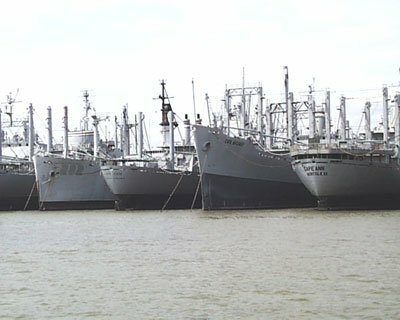 Laid down, 18 September 1961, as SS African Mercury a Maritime Administration type (C4-S-58a) hull under Maritime Administration contract (MA 105) at Ingalls Shipbuilding Co., Pascagoula, MS. 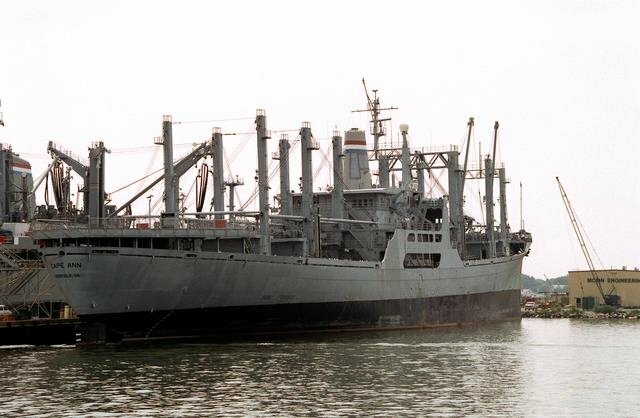 Returned to MARAD, 19 March 1980, for lay up in the National Defense Reserve Fleet, James River Group, Lee Hall, VA. 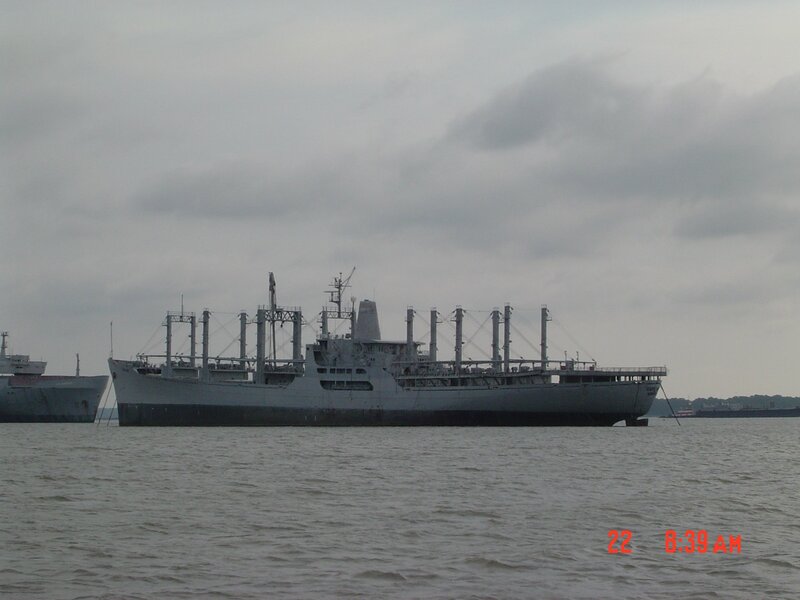 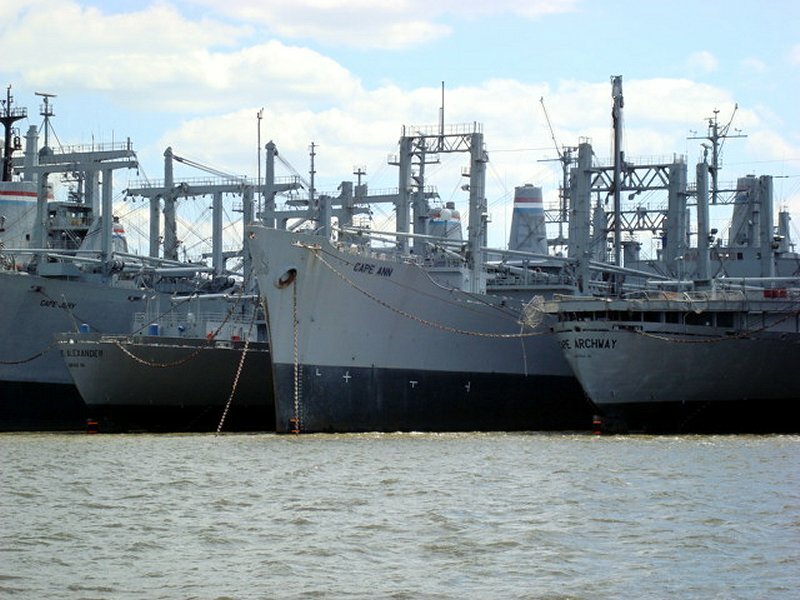 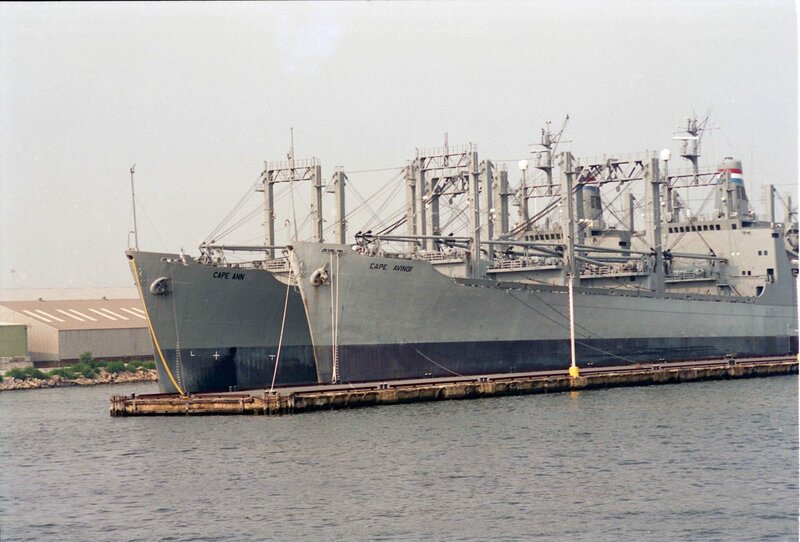 Renamed SS Cape Ann, designated (AK-5009), assigned to the MARAD Ready Reserve, with a layberth near Baltimore, MD. 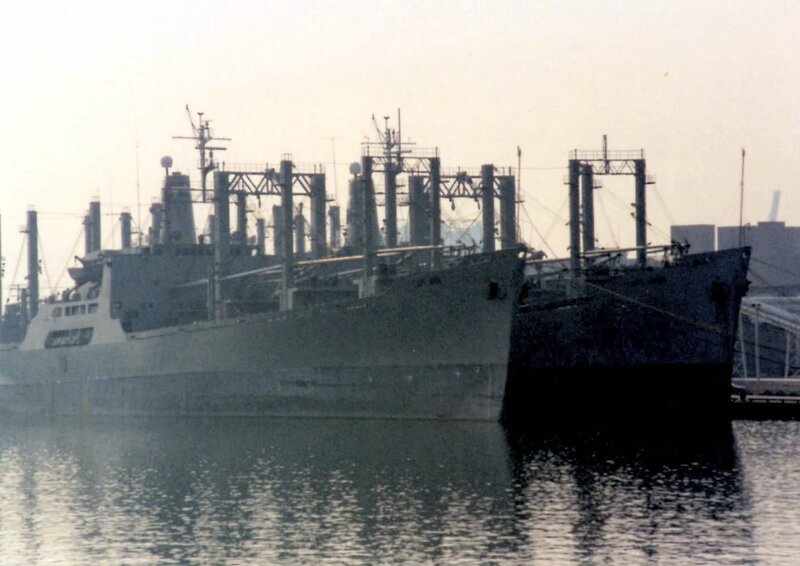 24k SS Cape Ann (far right) laid up in the National Defense Reserve Fleet, James River Group, Fort Eustis, VA., date unknown.